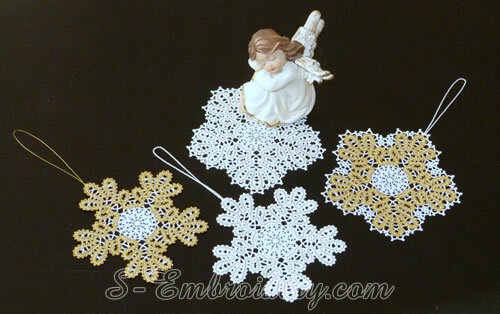 A Christmas machine embroidery set of 4 Battenburg lace snowflake ornaments. 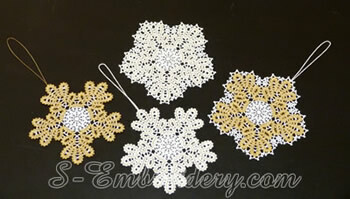 The snowflakes are different versions of the same embroidery design. 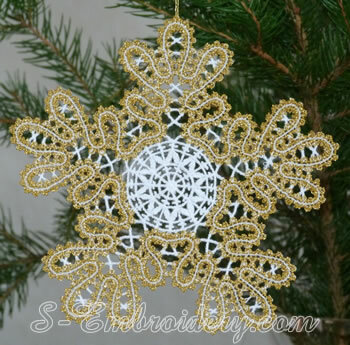 The ornaments come in 2 sizes (2 in one size and 2 in the other). 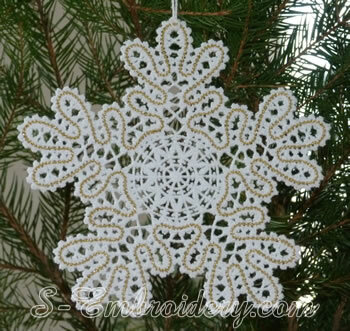 The larger snowflake ornaments are 5 x 5.20 inches (127.3 x 132 mm) and the smaller ones measure 4.80 x 4.67 inches (122 x 118.6 mm). 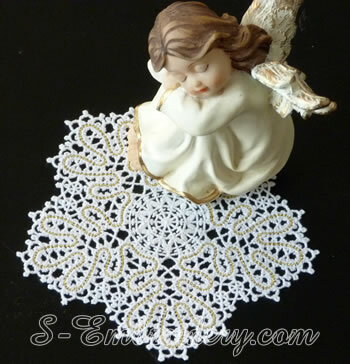 The number of stitches is from 28,990 to 36,197. 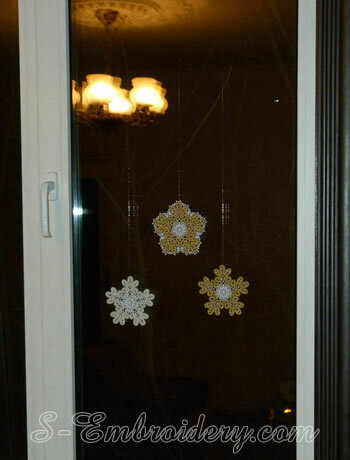 Each of the snowflakes uses 2 colors. 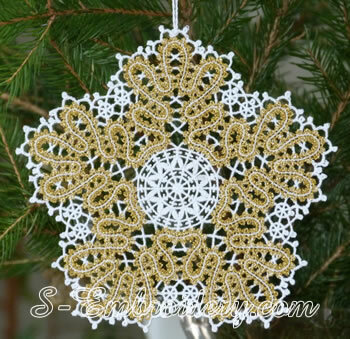 The Battenburg lace snowflakes can be used as a Christmas tree ornament, as Christmas window decorations or as a small doily.